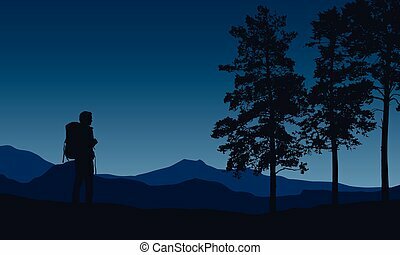 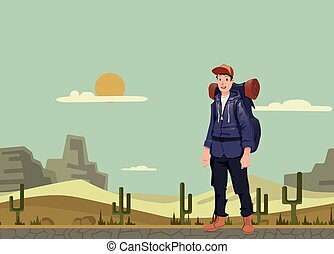 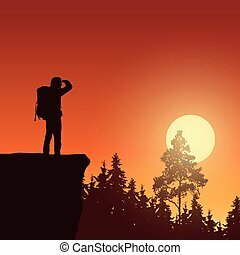 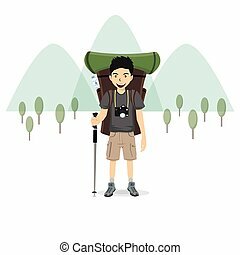 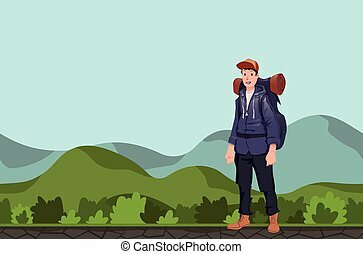 A Young Man, Backpacker In Mountain Landscape. 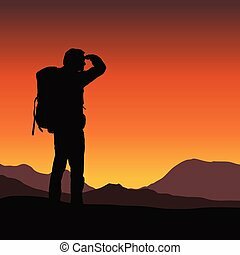 Hiker, Explorer. 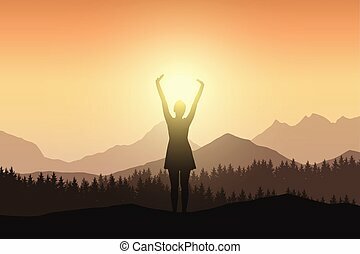 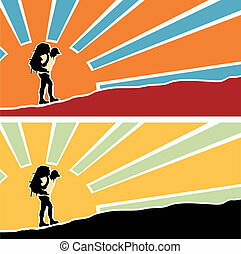 Vector Illustration With Copy Space. 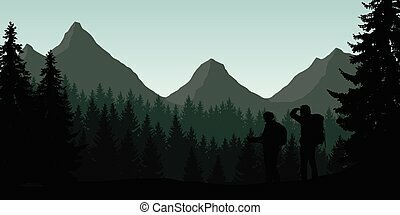 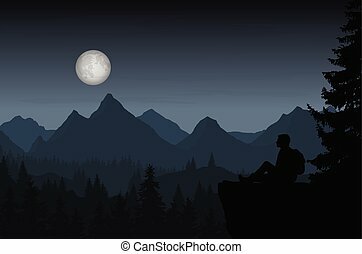 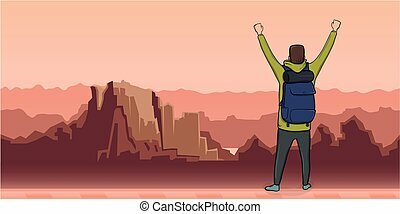 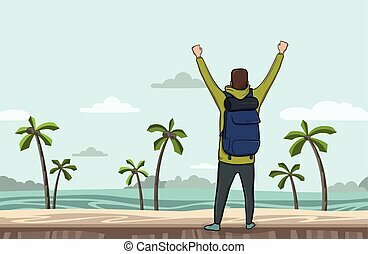 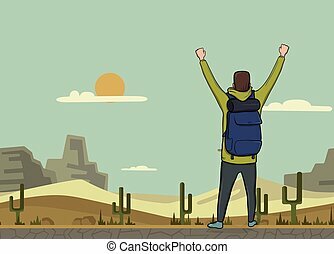 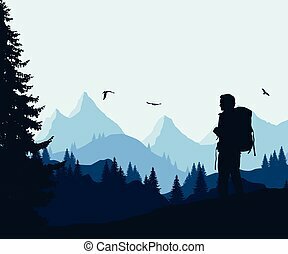 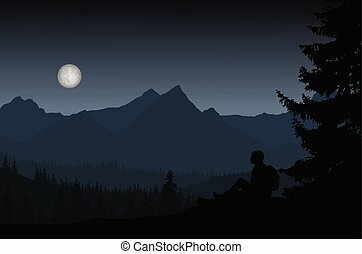 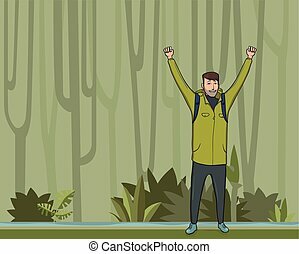 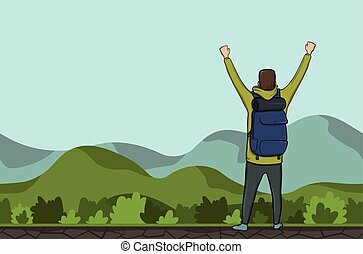 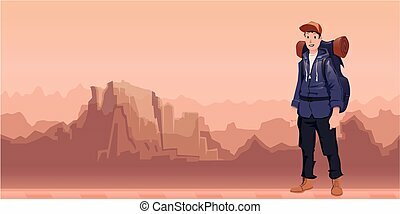 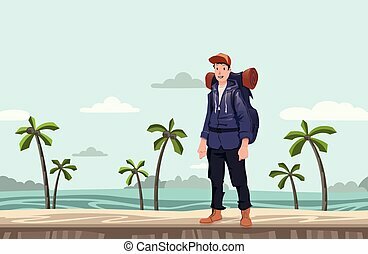 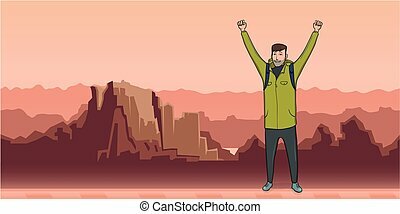 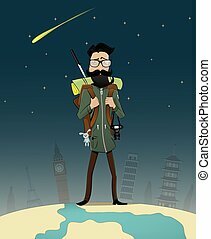 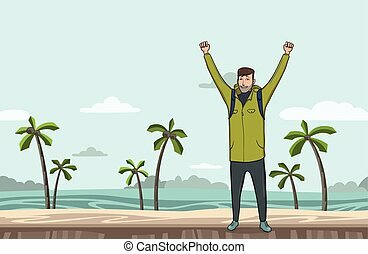 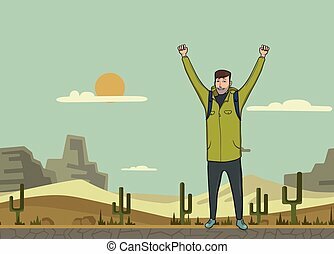 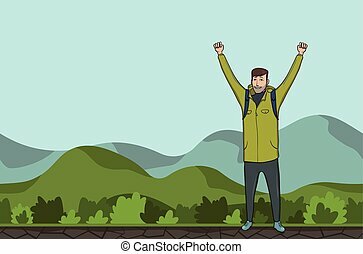 Man with a backpack and mountain, vector illustration. 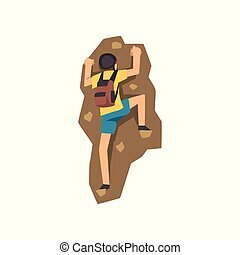 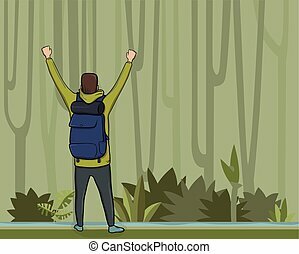 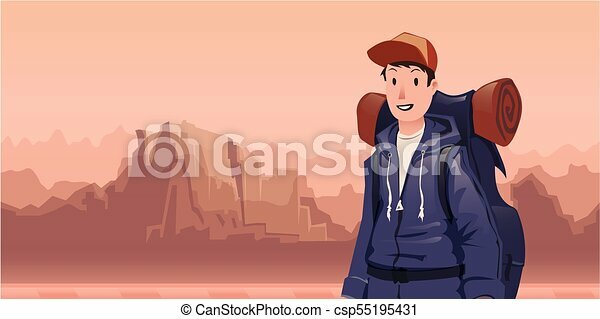 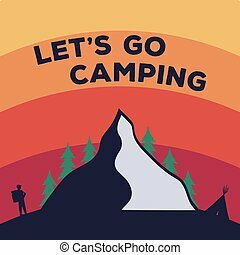 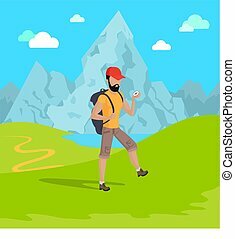 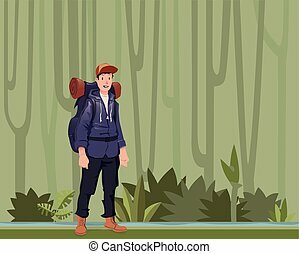 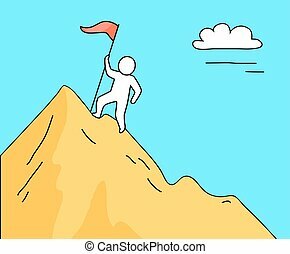 Young climber in protective helmet climbing mountain with backpack, mountaineering, extreme sport and leisure activity concept vector Illustration isolated on a white background.